Wye National Nature Reserve, Kent, UK. Having two of your three kids and families living on the far side of the world is not nice but on the other hand provides opportunities to travel and explore the places we most likely would otherwise never have got to see. 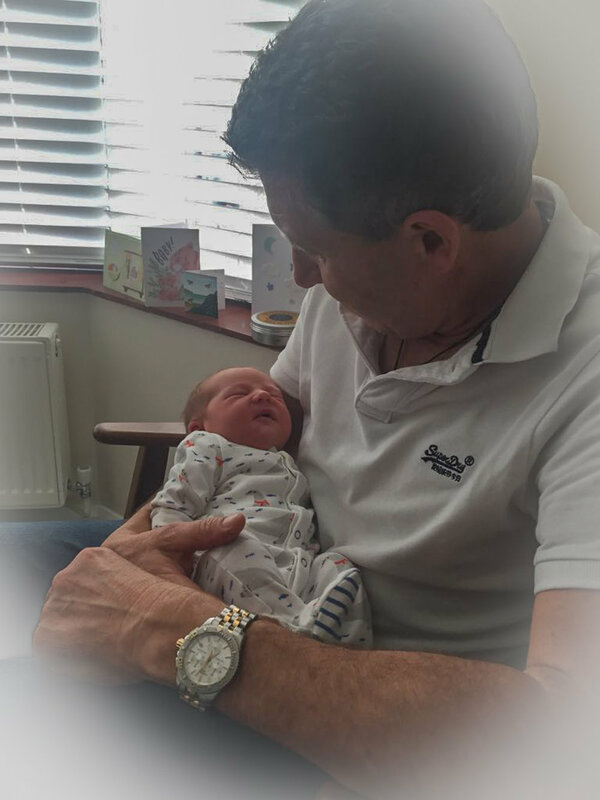 In June I was so fortunate to travel yet again to the UK and Ireland primarily to meet our newest grandchild in the making in Canterbury, Kent and spend time with family and grandkids in Ireland. We landed in the UK in the early hours of 9th June and our new grandson was born that evening. Couldn’t have timed it better. Our 5th grandchild and first born in the UK. Little Leo. Leading up to this trip I was determined to not be burdened with heavy camera gear, which in its entirety weighs about 8kg and since its carry-on luggage its already exceeding weight allowance. With that in mind, I spent a lot of time researching one of the most recent and critically acclaimed ‘all purpose’ Olympus zoom lenses, the 12-100mm f/4 lens. The reviews were overwhelmingly positive so I took the plunge and bought it, and ever since have been trying to block the cost from my conscience. Olympus E-M1 MKII paired with Olympus 12-100mm f/4 IS PRO lens. I used it for almost all of the hundreds of photos I took on this trip. I found the focusing to be lightning fast and the images to be very sharp. The lens focal range of 12-100mm (24-200mm equivalent on a full-frame camera) is very versatile covering wide angle to close in shots. It was also a lot nicer walking around with just a camera and single lens and not be burdened with an additional few extra lenses adding weight to my aging shoulders. 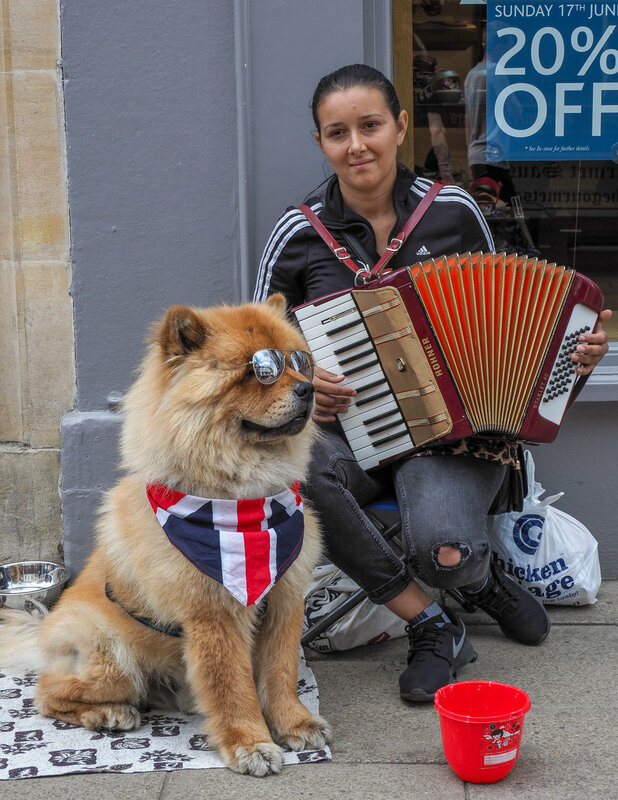 I also took my faster 25mm f1.2 lens for use in low light situations however the 12-100mm has in-built image stabilisation as does my Olympus E-M1 MKII camera which means that paired together they can be hand-held for taking tack sharp photos at very slow shutter speeds. One of the awful aspects of this trip was leaving the New Zealand winter for summertime in the northern hemisphere. How hard can that be? I soon got over it before I’d even left home. The UK, and later on Ireland, weather did not disappoint. We had packed for all seasons but we struck a heatwave and unbelievably no rain for the duration of the trip. The first rain was as we were descending into Auckland on our return home. We were based in Canterbury, Kent where our daughter, son-in-law, and newest grandchild live. Its a beautiful city. Having been in Canterbury three times now, it feels familiar and comfortable. It’s a World Heritage city that pulses with life being the home of two universities, being a domestic and international tourist visitor magnet, and being a destination for endless groups of school kids from Europe on history trips. Summer days. 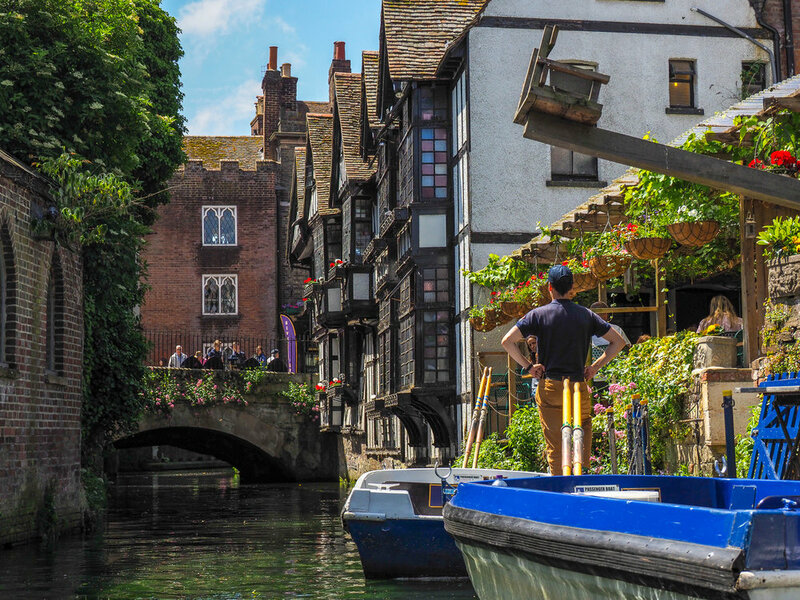 Canterbury, Kent, UK. In the upper left is 'the ducking chair'. This is a chair suspended on a frame hanging over the River Stour. It was used in the middle ages as a form of retribution for three types of situations. Firstly it was used as a punishment for nagging wives. In those enlightened times, a man could pay for his nagging wife to be dipped into the river on the ducking stool and of course suffer a degree of public humiliation at the same time. Secondly, it was used as a punishment and public embarrassment for cheating businessmen, who would be ducked into the water in front of a baying crowd and who would inevitably be forced to leave the city afterwards, their reputation in tatters. Lastly it was most famously used as a litmus test for witches and the way it worked was this: any woman accused of being a witch would be placed in the chair, and the chair would be swung out over the river and then submerged deep in the river for 2-3 minutes. After that time, the poor woman would be brought back to the surface. If she survived this lengthy ducking then clearly she was a witch as she must have used her powers to survive the fatal dowsing. If so, she would be burned at the stake as a witch. If, however, the lady was dead after being submerged for 3 minutes, then clearly she was not a witch. Canterbury is a city rich in history and is of course the home of Canterbury Cathedral, one of the oldest and most famous cathedral’s in England. 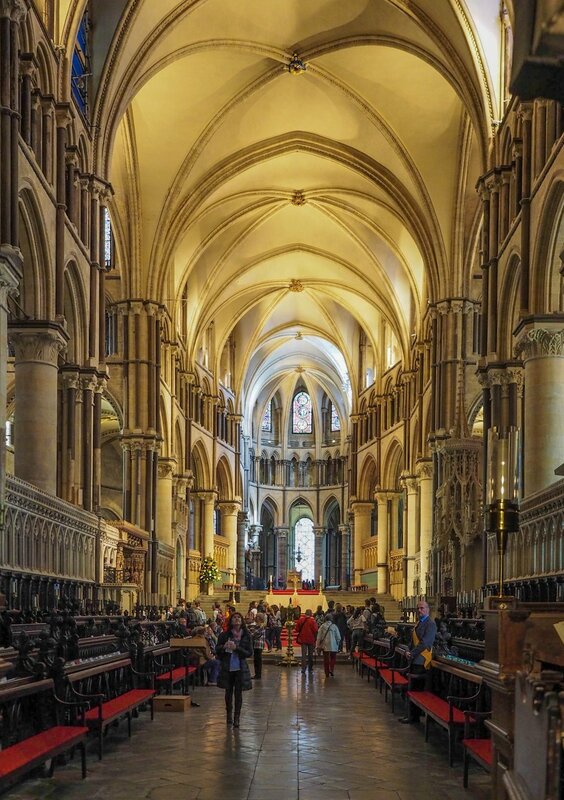 It is the cathedral of the Archbishop of Canterbury and the symbolic centre of the worldwide Anglican faith. 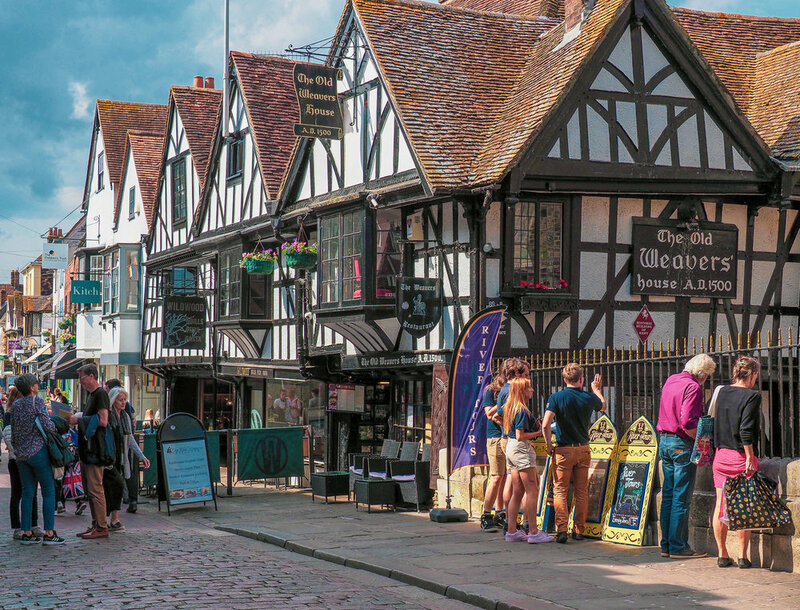 The Old Weavers' House, Canterbury, Kent, UK. Within the inner city there are beautiful gardens including Westgate Gardens and the River Stour. Such a wonderful asset in the city and idyllic in summer. There are still sections of a medieval wall that surrounded Canterbury including the Westgate. This 18 metre (60 foot) high western gate in the city wall is the largest surviving city gate in England. 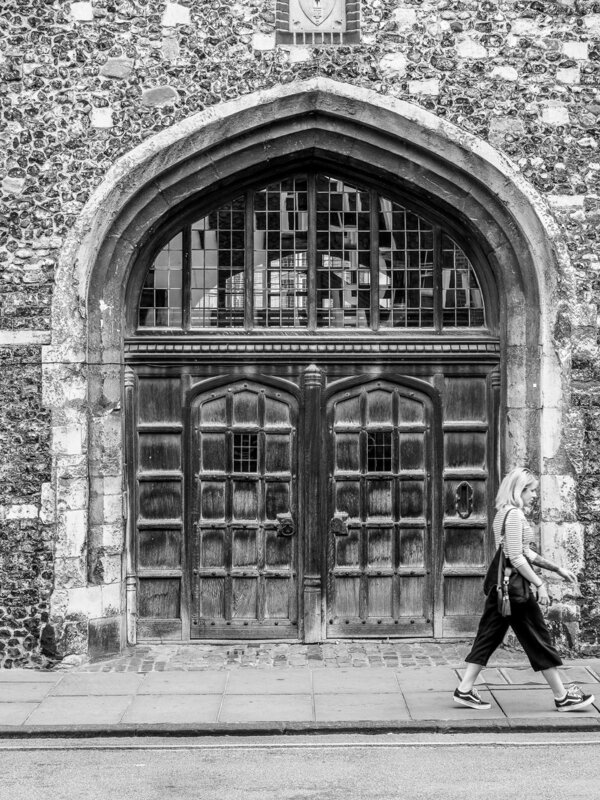 It was built circa 1379 and is the last survivor of Canterbury's seven medieval gates. One of the great joys of travel is chancing upon something special. Given the history of the UK its not surprising that there is some sort of claim to fame around virtually every corner. So it is in Canterbury and another example is St Martin's Church, the first church founded in England, the oldest parish church in continuous use and the oldest church in the entire English-speaking world. As such, it is recognised, along with Canterbury Cathedral and St Augustine's Abbey in Canterbury, as part of a World Heritage Site. St Martin's Church, Canterbury, Kent. The oldest church in the entire English-speaking world. 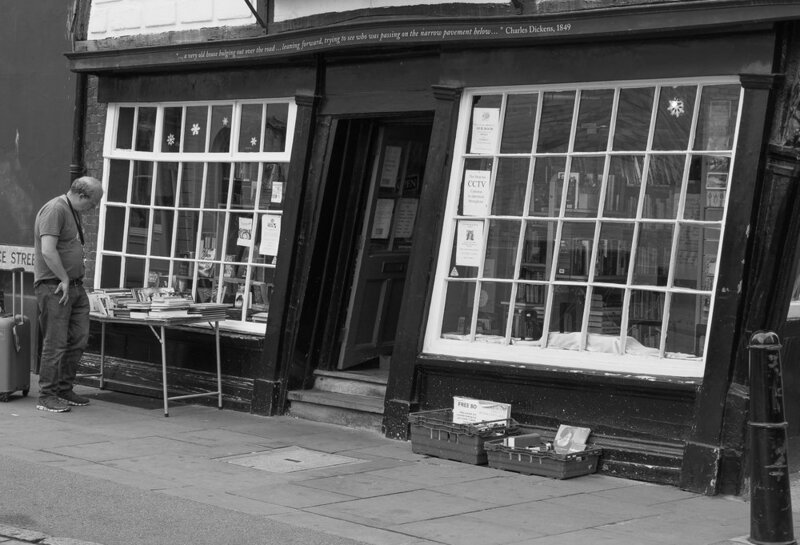 It almost looks like an optical illusion but The Crooked House, sometimes known as Sir John Boys House, King’s Gallery, or Old King’s Shop, looks as if it is about to tumble over. It’s skewed facade stops many visitors in their tracks. The 17th century Crooked House. 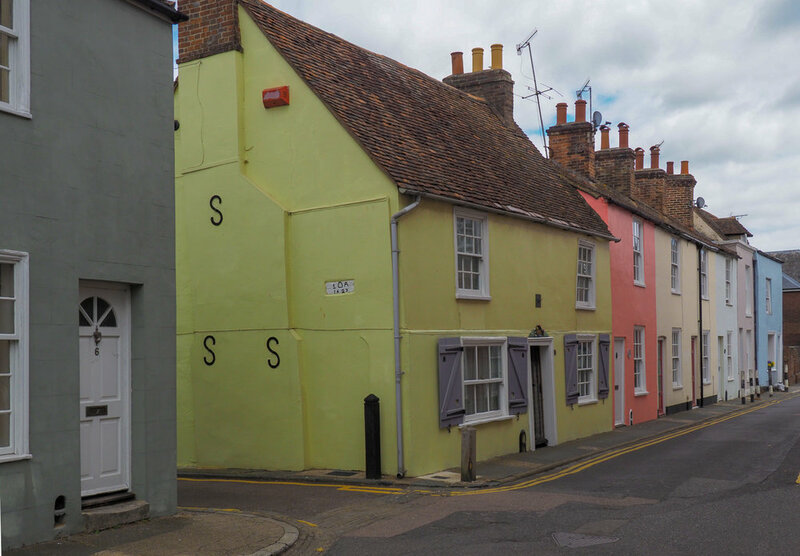 Built in the 17th century, the Crooked House’s strange appearance has sparked a few stories. Some claim that it inspired a passage in Dicken’s David Copperfield. Others say it was the house of MP and recorder of Canterbury, Sir John Boys; this has been discovered to be unfounded. Nonetheless, the house often takes his name. The Crooked House is perched at the end of Palace Street, near the centre of Canterbury and within earshot of the bells of the Cathedral. An internal chimney slipping gave the house it’s asymmetrical appearance. Today a steel frame keeps it in place. It gives the building a dizzying effect. Today, it is the home of Catching Lives Bookshop which sells second-hand books to raise money for the homeless and vulnerably housed. There are so many photo opportunities in Canterbury. One of the things that I believe from overseas travels is that no one country has a monopoly on beauty. In New Zealand we have an arguably spectacular landscape with a rugged raw beauty about it, whereas In England I see a softer landscape with a romantic, historical beauty about it. It’s a landscape I really love and I’d love to explore much more of it and I'll show you some more of it in the next blog entry. I love the cross-country walks, cycle ways and bridle paths that criss-cross the country and link towns and villages and the knowledge that at the end of those walks you are likely to find a beautiful little centuries old pub. There’s an inviting ambience in these pubs and they tend to be family and dog friendly. Of all the pleasures and delights of England, the historic country pubs are right up there. I'll close this blog entry with a couple of images from one of my favourite walks from Canterbury to the village of Chartham along The Great Stour Way. 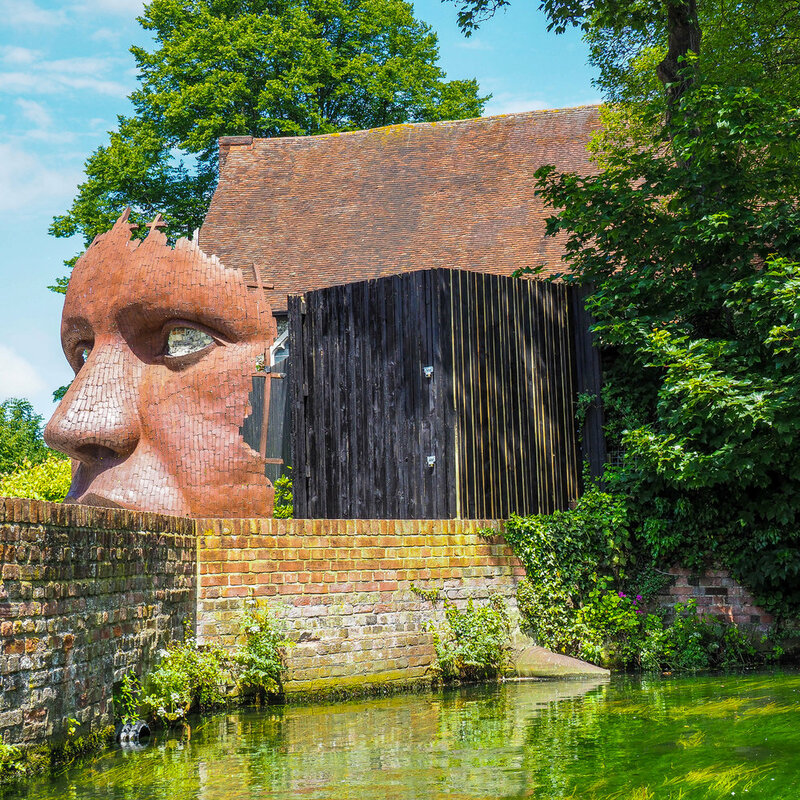 This 5km (3 mile) trail follows the River Stour and crosses beautiful countryside, runs alongside man made fishing lakes and nature reserves. I walked it one evening and by the time I got back to Canterbury my legs were about to surrender. Evening on The Great Stour Way between Canterbury and Chartham, Kent, UK. Why walk to Chartham? It's worth it just to walk into The Artichoke. I'll leave it there now. 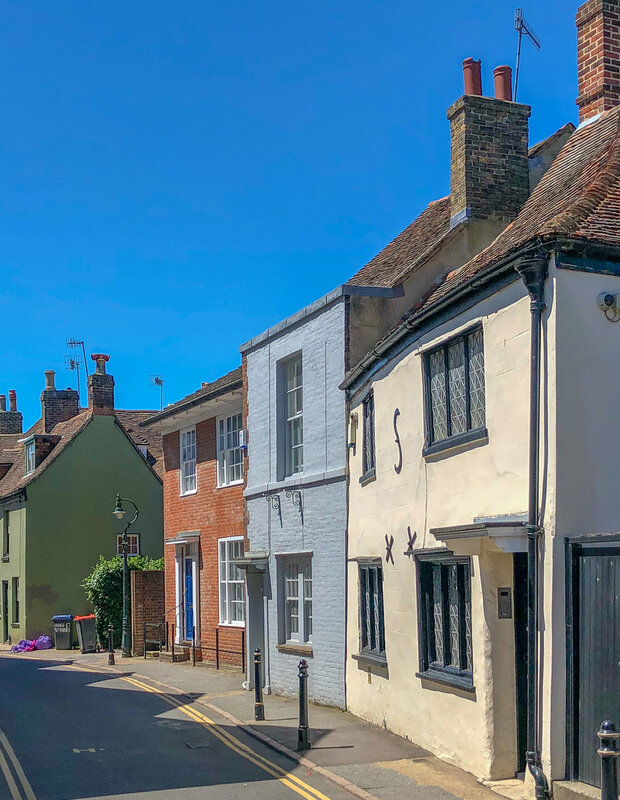 My original intention was to squeeze the England part of the holiday into one blog entry but there is so much more to show beyond Canterbury, so there will be a few more in the coming weeks.